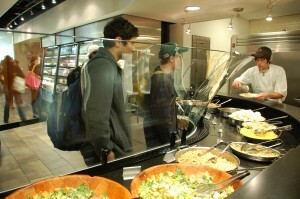 Vanderbilt Campus Dining offers a high-energy environment for those students who are interested in gaining practical job experience while attending Vanderbilt. 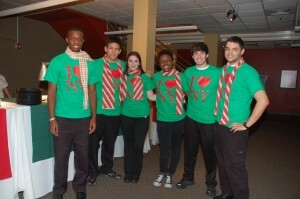 Students gain valuable skills and establish a strong work ethic in a real world environment. We offer entry level positions that may lead into our Student Management Program, for those who are interested. We offer positions with competitive wages, incentives, flexible hours, opportunities for advancement, yearly wage increases, and great working atmosphere. We also offer an excellent meal plan credit determined by the number of hours worked per semester. Qualifies for Federal Work Study. When you become part of the Vanderbilt Campus Dining team you get more than a paycheck. You get valuable experience that can help long after graduating from Vanderbilt University. Fun, Friendly People: Sure we have rules and procedures to follow, but the staff at Vanderbilt Campus Dining are fun, friendly and hard working. It’s a great place to meet people and make new friends. Dress Code: Yes, we have one. We provide you with two shirts, a hat, and a name tag. You need to provide jeans, black pants, or khaki pants, and closed-toe, slip-resistant shoes. 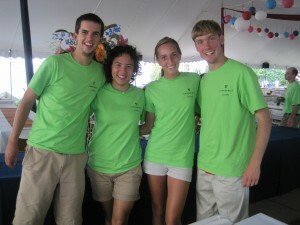 Hear what former student workers have to say about working with us. New or returning Student Workers, please fill out our Student Worker Application.